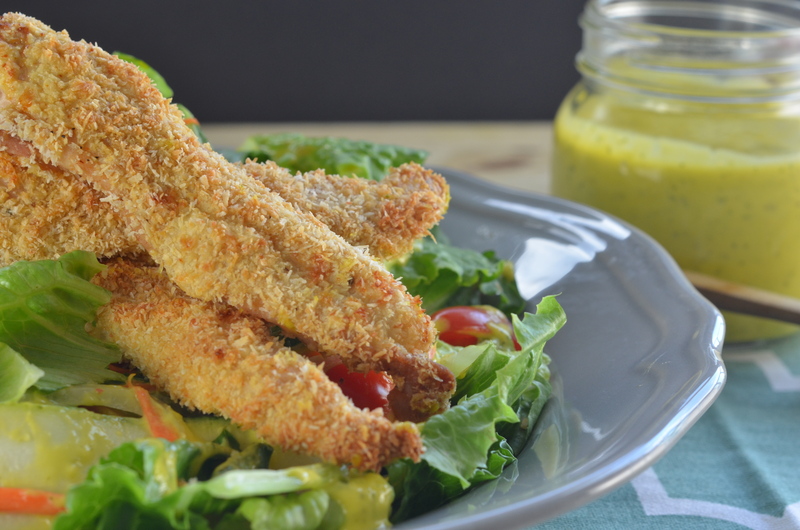 Adding coconut crusting in the mix is another fun way of making chicken fingers. Instead of using panko, let’s go crazy and use coconut! This is a real family favourite, but frying has always been a chore, what with all the greasy clean up afterwards. Not to mention all the unwanted calories frying adds to food (I’d rather save those calories for dessert, thank you very much). So, I’ve started baking them instead. To be honest, first time I tried baking these I thought the breading on the chicken will come out all soggy and really, nobody wants that, but it actually turned out nicely. It wasn’t at all that “coconuty”, the flavour is very subtle. I planned to have it with salad, so I made Mango Cilantro Dressing too (recipe coming soon). The mango and coconut combination is the best (IMHO). A few things to mention, I used rice flour to dredge the chicken. You may use all purpose flour or any other flour alternatives. Check this website for other non wheat-based flour substitutes. This recipe follows the same steps when ”breading” the chicken as you would if you were to fry it. That’s dredge, dip in egg and coat. To evenly bake these, I use a baking rack. If you don’t have one, that’s okay. You can use your baking sheet lined with foil or parchment paper but make sure to turn over the chicken fingers halfway through baking. 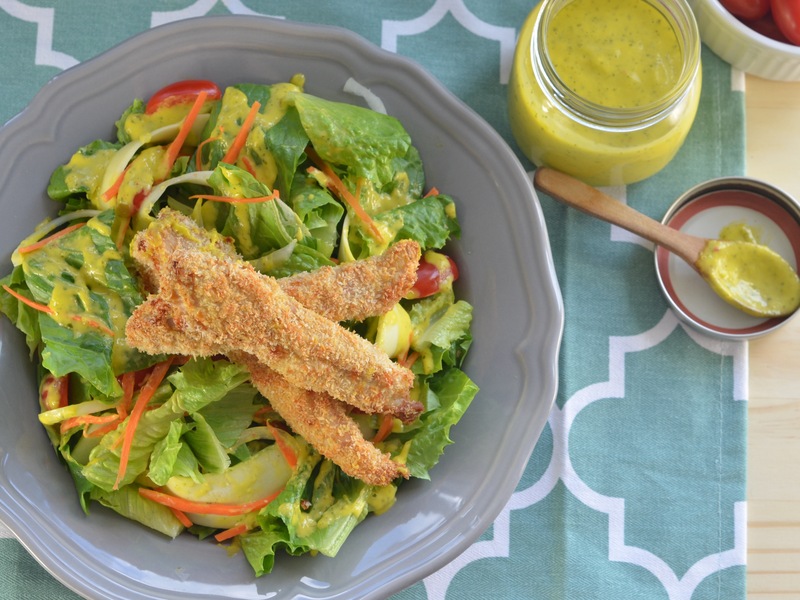 Recipe is below and please check back for the next post, Mango Cilantro Dressing. Cheers! Pre-heat oven to 375F. You'll need 3 shallow dishes for the chicken coating. Baking sheet and a rack - place the rack on the baking sheet. You may want use an oil spray on the rack, I don't and I have never had problems with chicken sticking to the rack. Also, consider putting parchment paper or foil to line the tray for an easier clean-up. Mix flour (rice), garlic powder, cayenne, salt and pepper in a shallow dish. Beat the eggs and place in another dish. Your third dish is where you'll place the dessicated coconut. Dredge the chicken with flour, shake off any excess. Dip in the egg then coat it evenly with coconut. Place each piece on the baking rack, keep space in between chicken fingers. Repeat with all the chicken strips. Bake for about 20 minutes or until the chicken is fully cooked.